The Casino of Montreal had announced an increase in number during this summer whether in term of frequentation or revenue in comparison of the same period last year. 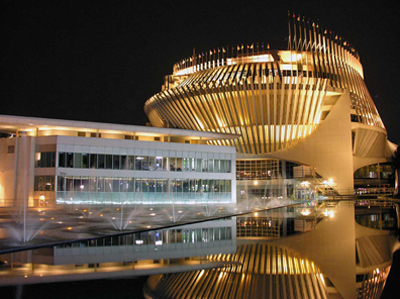 According to the spokesman of Loto-Québec, Patrice Lavois, the casino of the state of Montreal has succeeded to change the tendency after five years of declined. Between June and the first week of the week of August, the revenues of the Casino of Montreal had decrease of 4.5 % and the rate of frequentation a decrease a rate of 1.8 %. This increase in this casino is due to the augmentation of the number of the tourists who has visited Montréal during this summer. The tourism in Montreal has indicated that the sector had known in July its best beginning of summer since 20 years thanks to the rate of change and the decrease of the price, contexts favorable for the sector of tourism. It is important to note that that 1.125 millions of dollars were exchange in the Casino of Montreal since the 1st of April against 300,000 $ in the same period last year, an increase of 375 %. This organism plan also for this summer an increase of 7 % to 10 % the number of the Americans tourists. The annual frequentation has increase also this year if it was 5.823 millions of visitors in 2010 to 4.021 millions in 2014. During 2014-2015 the number of the visitors of the Casino Montreal had passed to 4.81 billions. During the first three months of the fiscal exercise 2015-2016, the revenues in general of casinos Loto-Quebec to Montreal, Lac-Leamy, Charlevoix and Mont-Tremblanthad had decrease of 2.2 % but the net profit known an increase of 6.4 %.